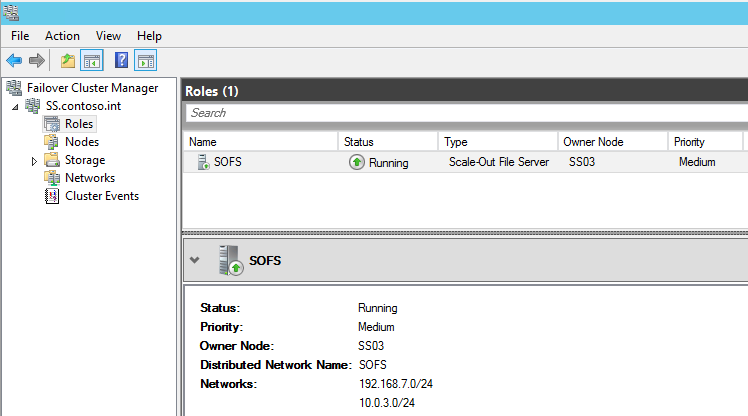 Managed Service Accounts were first introduced in Server 2008 R2. They are a clever way to ensure lifecycle management of user principals of windows services in a domain environment. Passwords for these accounts are maintained in Active Directory and updated automatically. Additionally, they simplify SPN management for the services leveraging these accounts. In Server 2012 and above, these can also be configured as Group Managed Service Accounts which are useful for server farms. 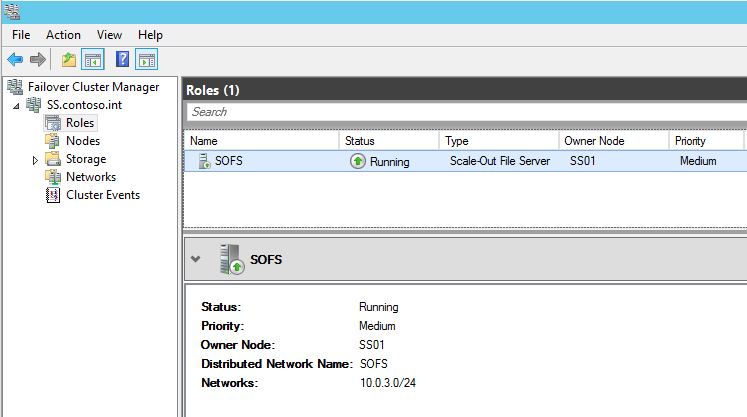 A common scenario for using a managed service account may be to run a the SQL Server service in SQL 2012. Next, you’ll need to specify which computers have access to the managed service account. You can now use the MSA in the format of DOMAINNAME\ACCOUNTNAME$ with a blank password when configuring a service. 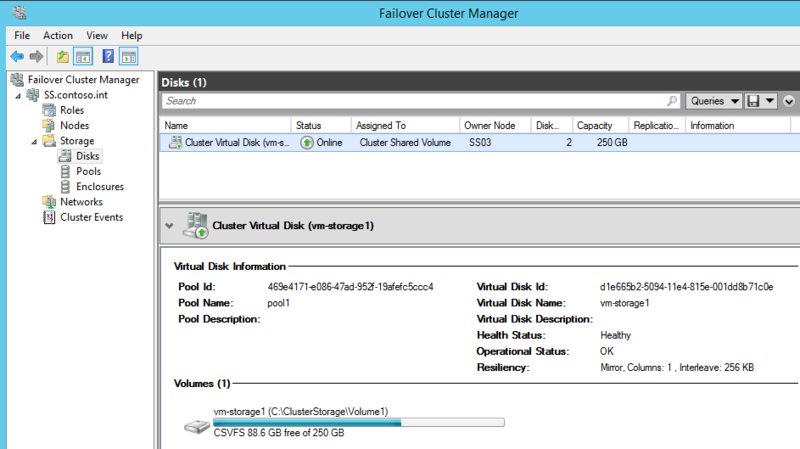 We’re wrapping up a project that involved Windows Storage Spaces on Server 2012 R2. 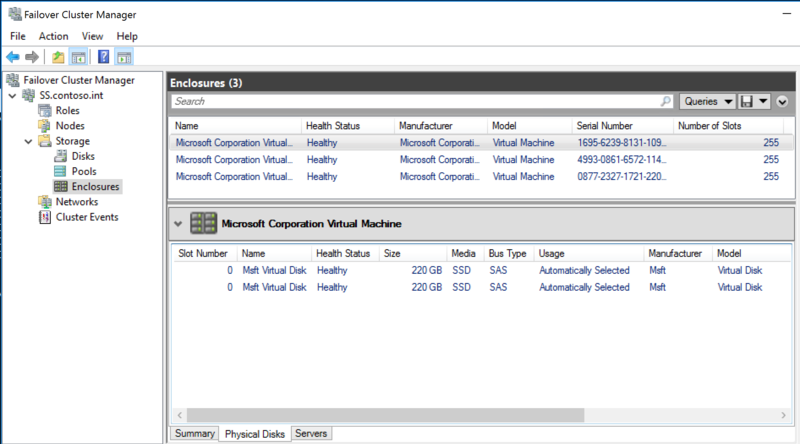 I was very excited to get my hands on new SSDs and test out Tiered Storage Spaces with Hyper-V. As it turns out, the newest technology in SSD drives combined with the default configuration of Storage Spaces is killing performance of VM’s. First, it’s important to understand sector sizes on physical disks, as this is the crux of the issue. The sector size is the amount of data the physical disk controller inside your hard disk actually writes to the storage medium. Since the invention of the hard disk, sector sizes have been 512 bytes for hard drives. 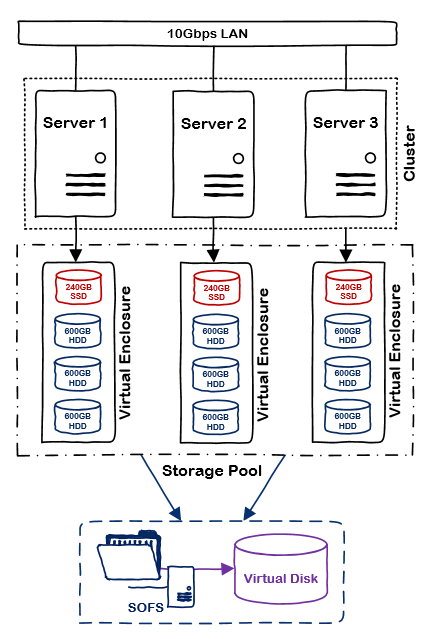 Many other aspects of storage are based on this premise. Up until recently, this did not pose an issue. However, with larger and larger disks, this caused capacity problems. 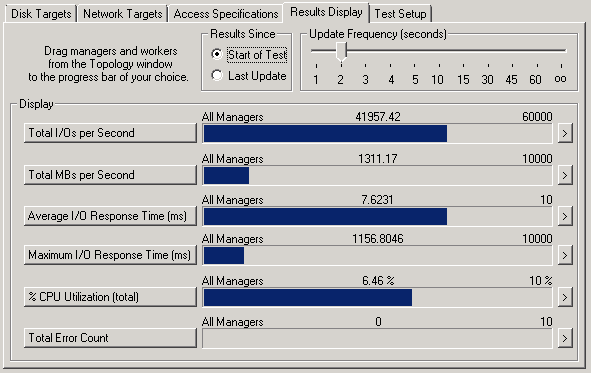 In fact, the 512-byte sector is the reason for the 2.2TB limit with MBR partitions. Disk manufacturers realized that 512-byte sector drives would not be sustainable at larger capacities, and started introducing 4k sector, aka Advanced Format, disks beginning in 2007. In order to ensure compatibility, they utilized something called 512-byte emulation, aka 512e, where the disk controller would accept reads/writes of 512 bytes, but use a physical sector size of 4k. To do this, internal cache temporarily stores the 4k of data from physical medium and the disk controller manipulates the 512 bytes of data appropriately before writing back to disk or sending the 512 bytes of data to the system. Manufacturers took this additional processing into account when spec’ing performance of drives. There are also 4k native drives which use a physical sector size of 4k and do not support this 512-byte translation in the disk controller – instead they expect the system to send 4k blocks to disk. The key thing to understand is that since SSD’s were first released, they’ve always had a physical sector size of 4k – even if they advertise 512-bytes. They are by definition either 512e or 4k native drives. Additionally, Windows accommodates 4k native drives by performing these same Read-Modify-Write, aka RMW, functions at the OS level that are normally performed inside the disk controller on 512e disks. This means that if the OS sees you’re using a disk with a 4k sector size, but the system receives a 512b, it will read the full 4k of data from disk into memory, replace the 512 bytes of data in memory, then flush the 4k of data from memory down to disk. Any disk whose PhysicalSectorSize is 4k, but LogicalSectorSize is 512b is a 512e disk, a disk with a PhysicalSectorSize and LogicalSectorSize of 4k is a 4k native disk, and any disk with 512b for both PhysicalSectorSize and LogicalSectorSize is a standard HDD. The problem with all of this is that the when creating a virtual disk with Storage Spaces, if you do not specify a LogicalSectorSize via the Powershell cmdlet, the system will create a virtual disk with a LogicalSectorSize equal to the greatest PhysicalSectorSize of any disk in the pool. This means if you have SSD’s in your pool and you created the virtual disk using the GUI, your virtual disk will have a 4k LogicalSectorSize. If a 512byte write is sent to a virtual disk with a 4k LogicalSectorSize, it will perform the RMW at the OS level – and if you’re physical disks are actually 512e, then they too will have to perform RMW at the disk controller for each 512-bytes of the 4k write it received from the OS. That’s a bit of a performance hit, and can cause you to see about 1/4th of the advertised write speeds and 8x the IO latency. I recently upgraded my workstation to Windows 8.1 and as such, am now using Internet Explorer 11. While there are some welcomed improvements, there are several changes that have made day-to-day administration activities a bit challenging. For instance, all of the Dell hardware we use has a Remote Access Controller installed that allows us to perform various remote administration tasks. Unfortunately, the current version of firmware for these DRACs is not compatible with IE 11. However, running in IE 7 compatibility mode allows the UI of the DRACs to function properly. The problem is, we access all of these directly by private IP and adding hundreds of IP addresses to the IE compatibility view settings on multiple workstations is a bit of a pain. Thankfully, these compatibility view exceptions can be set with Group Policy, but the workstations I use are in a Workgroup and do not belong to a domain. I set out to find a way to programmatically add these exceptions using powershell. First, it’s important to note that the registry keys that control this behavior changed in IE 11. In previous versions of IE, the setting was exclusively maintained under HKCU(HKLM)\Software\[Wow6432Node]\Policies\Microsoft\Internet Explorer\BrowserEmulation\PolicyList. Starting with IE 11, there’s an additional key under HKCU\Software\Microsoft\Internet Explorer\BrowserEmulation\ClearableListData\UserFilter that controls compatibility view settings. Unfortunately, this new key is stored in binary format and there’s not much information regarding it. I was able to find a stackoverflow post where a user attempted to decipher the data, but I found that some of the assumptions they made did not hold true. Via a process of trial-and-error, I was able to come up with a script that can set this value. However, because IE 11 still supports the previous registry key, I HIGHLY recommend using the other method described later in this post. While this seems to work, there are several values I was not able to decode. The script will pipe the values in the $domains array into the UserFilter registry key. It accepts either top-level domains, IP addresses or Subnets in CIDR notation. IE 11 still supports the older registry key, therefore it is the preferred method not only because the above is a hack, but also because the data is stored in the registry as strings and it supports specific hosts instead of only top-level domains. Again, this script supports hosts, domains, IP Addresses and Subnets in CIDR notation. **UPDATE: Microsoft recently released hotfixes for Windows 8/2012 and Windows 8.1/2012 R2 to address the roaming profile compatibility issue. The hotfix and regkey is outlined in Step 1 this technet article: http://technet.microsoft.com/en-us/library/jj649079.aspx. Note that there is no hotfix for Windows 7/2008 R2, so you’ll still need the procedure outlined below if you are trying to roam from Vista/2008 to newer versions. I love mandatory roaming profiles. With the hundreds of servers I manage daily, it’s important I have to same settings on each system to maximize efficiency. Anything I do on one system is available on all systems – for the most part. Each version of Windows comes with a slightly different user profile and they’re not always compatible. For instance, the profile in use with Windows XP/2003 was vastly different from Windows Vista/2008 which was also different from Windows 7/2008 R2. This becomes an issue with roaming profiles since the path to the profile is set on the AD user account with no regard to the actual operating system you’ll be logging into. We support systems ranging from Windows Server 2003 to Windows Server 2012 R2, so I need the ability to roam on any platform. Microsoft addressed this in the jump from XP to Vista by automatically appending a .V2 to profile names, so you actually had different profiles for XP and Vista. However, that’s as far as they went. Every version of Windows since Vista uses that .V2 profile, but they are not fully compatible. Make a change to the profile in Windows 8 and you’ll lose your Windows Vista desktop. Similarly, modify the start menu in Windows 8.1 and you won’t see the same layout on your Windows 8 systems. The directory services team provided a workaround by creating multiple GPO’s with WMI filters that apply only to a specific operating system thereby allowing you to set an environment variable on every system to use the in the profile path of users. To me, that was too much clutter and too many GPO’s applying to all domain servers slowing down startup and login. A better solution is a single GPO with item level targeting. Item level targeting basically allows you to apply a preference only if certain criteria are met – in this case, the Operating System version. Under Computer Configuration > Preferences > Windows Settings > Environment, create a new Environment Variable named PROFILEVER. Set the Action to Update, the name to PROFILEVER, the Value to v1. On the Common tab, select the check box for Item-Level targeting and click the Targeting button. We want this to apply to multiple Operating Systems, so first add a collection. Drag the Operating System object under the collection. 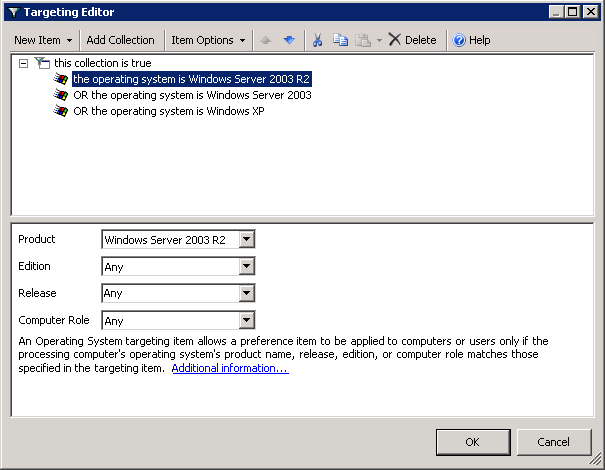 Repeat step 6 adding entries for Windows Server 2003 and Windows Server 2003 R2. Repeat steps 2 through 8 for each profile version you wish to support using the proper value and Operating Systems. As a fail-safe, I’ve added a v0 with no item-level targeting set. Because items are applied sequentially, PROFILEVER should be overwritten by one of the item-level targeted preferences. You’ll need to logoff any existing sessions and run a gpupdate /force on systems (or reboot) for the setting to take effect. *Note: In order to properly select Operating System versions, you need to perform this from the highest OS you wish to support. For instance, you’ll only be able to select Windows 8.1/Server 2012 R2 if you are editing the GPO on a Windows 8.1/Server 2012 R2 system. 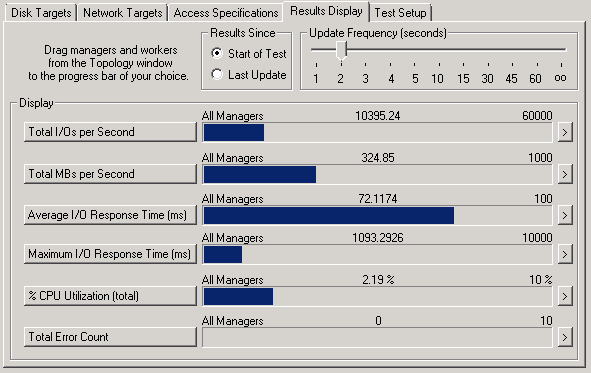 This pointed to a problem with the underlying WMI configuration for SQL, so I used wbemtest.exe from the remote DPM server to test WMI connectivity. If you are unsure of exactly what WMI namespaces are in use or what queries are being run, you can use WMI Tracing to see what’s happening under the hood. Description: The specified module could not be found. It seemed to be scouring the path looking for sqlmgmprovider.dll and svrenumapi100.dll. I checked on disk, and sure enough, neither of those files existed under the path C:\Program Files\Microsoft SQL Server\100\Shared, however, their 32-bit counterparts were located under C:\Program Files\Microsoft SQL Server\100\Shared. Checking another 64-bit SQL 2008 server, I was able to find those files under that first path. After copying them from a known working system, the error was resolved. Also, the second file was only listed in procmon once I copied the first to the server and retested, so it make take several passes to completely resolve. Note that this resolved this specific error for me, though it may not be the best solution. 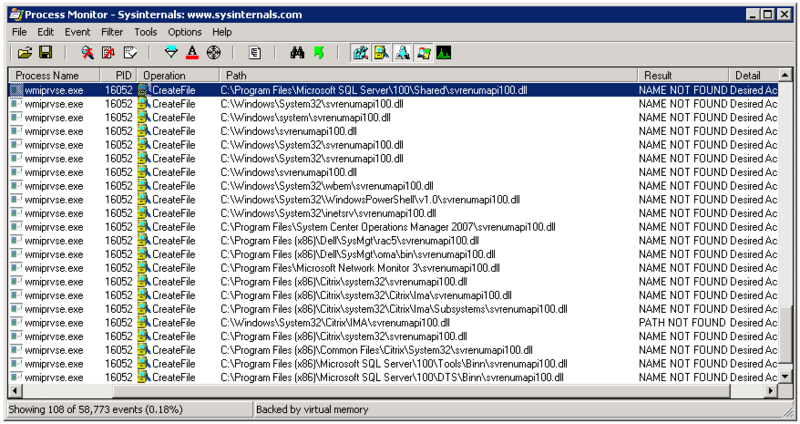 The reason those files were not on the server is because there was only a 32-bit instance of SQL Server on the system. By adding those two files and re-running wbemtest, an error was no longer returned, but the query also did not show any instances of SQL Server because it was querying for 64-bit instances. One of the most powerful features of Powershell is the ability to issue commands to remote systems, better known as Powershell remoting. This further lessens the need for console or remote desktop access to administer systems. Powershell remoting was introduced in v2 and relies on the Windows Remote Management service (WinRM) to issue commands to remote systems. [RemoteSystem] Connecting to remote server RemoteSystem failed with the following error message : WinRM cannot complete the operation. Verify that the specified computer name is valid, that the computer is accessible over the network, and that a firewall exception for the WinRM service is enabled and allows access from this computer. By default, the WinRM firewall exception for public profiles limits access to remote computers within the same local subnet. For more information, see the about_Remote_Troubleshooting Help topic. Enter-PSSession : Connecting to remote server RemoteSystem failed with the following error message : The WinRM client cannot process the request. If the authentication scheme is different from Kerberos, or if the client computer is not joined to a domain, then HTTPS transport must be used or the destination machine must be added to the TrustedHosts configuration setting. Use winrm.cmd to configure TrustedHosts. Note that computers in the TrustedHosts list might not be authenticated. You can get more information about that by running the following command: winrm help config. For more information, see the about_Remote_Troubleshooting Help topic. Microsoft has developed a System Update Readiness tool which can identify and repair Windows system file corruption that could prevent other updates from being installed. The tool is available for all editions of Windows since Vista/Server 2008 and is published under KB947821. The utility installs as a MSU package on older platforms, and is baked in for Windows 8 and Server 2012 with the DISM utility. This utility is often referred to as CheckSUR – short for Check System Update Readiness. From this log, we can see the corrupt files are part of KB2685939. To repair, you can follow these instructions. 1. Download the appropriate update package for KB2685939 for the target system from the Microsoft Download Center. 5. Re-run the System Update Readiness tool which will use the files in the %windir%\Temp\CheckSUR\servicing\packages folder to repair the corrupt or missing files. Recently opened a PSS case regarding on issue we discovered with the Windows Firewall with Advanced Security on Server 2008 SP2. As a web host, we have many customer web servers with various ports open to the Internet. From time to time, nefarious users will test the server’s security. Part of the standard response is to block all access to the server from the offending IP. This is realized by creating a Windows Firewall with Advanced Security rule that blocks traffic on all ports, for all services with the remote IP scope set to the IP in question. The problem was uncovered when we noticed backups were failing. The backup program in use leverages a dynamic RPC endpoint for communication, and with the block rule in place, the communication between the customer’s server and the backup server was failing – even though the scope of the block rule was configured to use only the attacker’s IP address. Furthermore, there was a rule specifically allowing communication from the backup server’s on the dynamic RPC endpoint. The reason this works has to do with the order in which Windows Firewall applies rules – that process is described in detail here: http://technet.microsoft.com/en-us/library/cc755191(v=ws.10).aspx. This also seems to be the reason the communication is blocked – block rules are processed before allow rules and rules with broader scope before those with a more narrow scope.